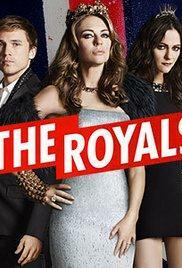 The Royals Season 1-3 DVD Box Set:The Royals is an American television drama series that premiered on E! on March 15, 2015. Created by Mark Schwahn and starring Elizabeth Hurley, it is the network's first scripted series.The Royals Season 1-3 DVD Set The Royals for a second season two months before its debut, and picked up a third season on January 5, 2016.